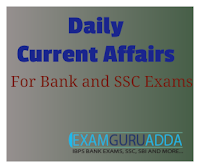 Dear Readers, we are presenting Daily Current Affairs for All Exams- 13th December 2016. 1. Software giant Microsoft India has launched its first full-scale Cybersecurity Engagement Centre (CSEC) in New Delhi. It is Microsoft’s seventh Cybersecurity Centre in the world. It will function as a satellite to the its Redmond Digital Crimes Unit (DCU). 2. The first-of-its-kind centre in India will bring together Microsoft capabilities to foster deeper cybersecurity collaborations with public and private sector organisations. 1. The Union Ministry of Tribal Affairs is going to will launch “Vanjeevan”, the National Resource Centre (NRC) for Tribal Livelihood issues in Bhubaneswar, Odisha. 2. It will be launched in collaboration with UNDP and National Scheduled Tribes Finance and Development Corporation (NSTFDC). Besides, NRC website and e-knowledge platform on tribal livelihood will also be unveiled. 1. Former Portuguese Prime Minister Antonio Guterres (67) was sworn in as the 9th UN Secretary-General. He was administered the Oath of Office by Peter Thomson, President of UN General Assembly at special plenary meeting. 2. He succeeds Ban Ki-moon and shall have five-year term beginning January 1, 2017. Antonio Guterres was unanimously appointed by the UN General Assembly after the 15-nation UN Security Council had approved him in October 2016. 1. India and Indonesia have signed three agreements in various areas to enhance strategic partnership. These agreements were signed after delegation level talks between Prime Minister Narendra Modi and visiting President of Indonesia Joko Widodo in New Delhi. 1. Punjab Government has launched country’s first amphibious bus project at the Harike wetland near Amritsar. The amphibious bus named as “Harike Cruise” travels on land and as well as in water. It was launched by Deputy Chief Minister Sukhbir Singh Badal. 2. The first of its kind amphibious bus in India was imported from Swedish automobile company Scania. It will be run by the Punjab Tourism department. The project has cost the state government over Rs 11 crore. 1. Real Madrid forward Cristiano Ronaldo (31) from Portugal has won the prestigious 2016 FIFA Ballon d’Or Award. He has earned this title of world’s best football player for fourth time. 2. Earlier he had won the Ballon d’Or in 2008, 2013 and 2014. In this year’s competition, Barcelona’s Lionel Messi (Argentina) finished second and Atletico Madrid’s Antoine Griezmann (France) third in the vote.